The downside, however, is that in order for us to enjoy the results of effective social media marketing, a lot of time is involved. For those involved in social marketing, there is a lot of seemingly tedious and repetitive work, and which requires you to be available at all hours under the sun. This is especially true for small to medium businesses who probably don’t have a team of social marketers to divide the responsibility. So what can you do to lighten the load and help with your social media time saving? The key is automating your social media marketing. Social media automation allows you to use your time more effectively - a means of multi-tasking, meaning that you spend less time doing the same thing over and over again, and that you have more time for planning strategies and concentrating on content. 1. Remember that not everything can and should be automated. Do your research into what you can automate and what you shouldn’t. 2. 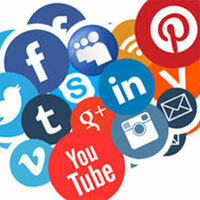 Find the right social media automation tools for you and your business. 3. Research and plan your automation time schedule. There are some aspects of social media that just shouldn’t be automated. Remember that one of the points of social media is to show your human side. So if you are posting content about something in person - for example, an apology - by automating your response you are making your response generic and seemingly thoughtless. As a rule of thumb, never automate customer interactions. Personal or funny tweets or published posts, however, are a great example of what you can automate. They are not usually time sensitive and schedules can be set far in advance. By automating published posts, you can ensure that all of your content is published across the board, at the same time, making you look more professional and organised. SocialOomph - Most people - your followers or otherwise won’t see every piece of content that you put out. SocialOomph allows you to schedule retweets - and change the tweet title. IFTTT (If This Then That) - This automation software allows you to automate activities when triggered by something else. The software has a list of formulas which follow through as soon as the trigger is set. You could set up, for example that every time a piece of content is posted in a certain place, a tweet is sent out. Aweber - Is an excellent tool for email marketing. As soon as someone signs up to your email list, they can be sent one or series of emails, all pre-set and ready to go. Dlvr.it - If you want to publish content across a whole range of platforms at the same time, Dlvr.it will do this for you. You will tell it where you want it to pick up the content from and where you also want it published to. It means that there is no tedious copying and pasting, and all of your content can be published at the same time - if that is what you want. It can also provide you with useful analytics information. Postplanner - Is a tool specifically for Facebook. It can help you to automate your sharing of content on Facebook. You can use it to find the most popular content in your industry and then add it to a queue of content which is then scheduled and released. From these facts, it is easy to see that when you publish your content on social media, the time and day that you do it is vital. This will differ from business to business, but it is important to check your analytics to ensure that you are releasing or scheduling the release of content at the right time. There are tools such as Followerwonk, SocialBro and Tweriod which can help you to analyse this. Make sure that you are automating your social marketing to be published at the times when your followers are most engaged. Whilst automating your social media will free up a lot of time for you, it doesn’t mean that you can totally ignore it. Afterall, the point of social media is to engage with your followers and community. So you need to be prepared to respond to anything that might occur. The best way of staying in touch with everything that is going on is by enabling notifications and keeping an eye on them. Automating your social media marketing is an effective way to maximise your output whilst minimising the physical work that you are putting in - allowing you to engage with people on a personal level and concentrate on creating excellent content. By using some of the tools above - or others which you find useful - you can ensure that you are creating effective automation which can transform your business’s social marketing.